I am Artur. I have a PhD in Physics. I have been teaching Physics and Mathematics for 25 years. I have taught Calculus based Physics at Penn State University. My goal as a teacher is to give students strong fundamental background of Physics and Mathematics by encouraging their active participation in learning process. So I give them not only knowledge, but also a method of independently working with textbooks and solving problems. I have taught Algebra (Algebra 1 and Algebra2) for over 25 years. My experience allows me to teach Algebra to high school, college, and university students. I taught Calculus 1 and Calculus 2 in the department of Mathematics of the State Engineering University of Arm. (SEUA) for 25 years. I have a PhD in Mathematics. Now I am teaching Calculus through WyzAnt. During my lessons I provide many examples from everyday life where we use Calculus and make Calculus teaching more interesting and understandable for students. I have been teaching Physics for 25 years. I have a PhD in Physics. From fall of 2011 to spring of 2012 I taught calculus based physics at Penn State University. 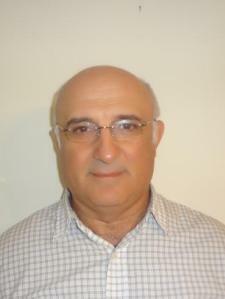 In 1983-2004 years I taught General Physics as a professor of Physics at State Engineering University of Armenia (SEUA). Simultaneously, I taught undergraduate Physics at a preparatory School at SEUA. I have two published works about physics teaching methods and I am the coauthor of the book" Problem solving in introductory physics". My goal as a teacher is to give students basic knowledge of Physics and skills by which they can independently work with textbooks and solve problems. Artur is very good at teaching. He is very punctual and arrives well prepared for each lesson. He explains the subject in depth, providing the reasoning behind the way things are done, not simply the method - as it is usually done in school. Although mathematics and physics are far from being my son's forte, he has come to enjoy these subjects much more, let alone his grades - which have dramatically improved. All in all, I would highly recommend Artur, as a tutor in these subjects. Heavy accent, but my son was able to understand him enough to learn the concepts being taught; although he admitted he did not always understand every word he said. Thought he was a "very nice man" and wants him to help him in the future. Artur helped me prepare for a physics exam. I was completely lost before this tutoring session and was struggling in the class. However, Artur gave me a much better and clearer understanding of the previously confusing concepts and I feel way more confident working through problems now. He's a very knowledgeable tutor and I highly recommend him! My daughter seriously thought she was going to fail her Physics final--she said she understood nothing! Artur came over at very short notice to help her. After just 90 minutes she ended up scoring an 88%! Artur has been able to explain the principles and show how to work problems to my daughter who is doing Physics for the first time. She is making good progress. Artur was a very nice man but his accent was strong and my daughter could barely understand him. He was here to tutor her in Pre-Calc but wasn't familiar with the calculator that her class uses. Overall, it did not work out and I had to quickly find another tutor before her next test. Perhaps Artur is a better tutor for Physics. Very good at explaining information with different scenarios that he uses! I continue to look forward to our tutoring sessions. I had a difficult time in physics until he explained the basics to me. Awesome tutor, very flexible. Wanted the best or the student. Extremely Knowledgeable and explanations are easily understood. Very encouraging and inspiring.